Robyn Lee critiques the inequalities and social injustices that surround human milk exchange practices. Public milk banks provide human milk for premature infants because compared to formula feeding it is associated with lower rates of serious intestinal disease, a leading cause of illness and death. While public milk banks are very common in some countries, such as Brazil, there are only four currently operating in Canada. These are in Vancouver, Calgary, Toronto, and Montreal. Public milk banks in Canada and the United States, are undersupplied and unable to meet high demand. As a consequence of widespread awareness of the benefits of human milk, some parents are trying to source human milk online through informal exchanges http://www.onlythebreast.com/; http://www.eatsonfeets.org/; http://hm4hb.net/. Public health agencies in Canada and the U.S. (along with national pediatric associations in those countries) have taken a strong position against any human milk exchange outside of milk banks, warning parents of the risks posed by transmission of pathogens and chemical residues. Nevertheless, the practice of human milk exchange is growing in popularity. While some human milk exchange online forums such as “Human Milk for Human Babies” are based on sharing, others like “Only the Breast” also involve the sale of breast milk. Human milk has been described as “liquid gold” and costing “more than sushi” in media accounts because of its scarcity and high value. Human milk is becoming commodified and the high cost of obtaining milk may mean that access will be determined by socioeconomic status. American biotech companies such as Prolacta Bioscience and Medolac have been processing human milk in order to create consumer products. They pasteurize and sell human milk to hospitals where it is used to nourish infants born prematurely. These companies bill themselves as saving premature, critically ill, and low birth weight infants, but they rely on unpaid donations from women and sell processed donor milk at a huge profit. The buying and selling of human milk raises important ethical questions. The conditions under which milk may be produced demand ethical consideration. For instance, poorer women may be more motivated to sell their milk than more affluent women, and they may be at risk of exploitation if commercial milk production is their only means of economic exchange. Also, access to human milk may be determined by socioeconomic status, in the same way as access to high quality, nutritious food. White women of higher socioeconomic status already have higher rates of breastfeeding. The commodification of human milk may have the unfortunate effect of further limiting the availability of breast milk to wealthier parents. Children are already more likely to be breastfed if their parents are white, older, and of high socioeconomic status. With the growing commodification of breast milk, the parents most likely to be able to pay for milk are white, wealthy, and living in the global North. Although human milk is often sold at high prices, the individuals providing milk and performing this work are not always fairly compensated. Historically wet nurses and milk bank donors were poorly compensated, if at all. For example, in the Americas enslaved Black women carried out wet nursing for white slave owning families. The history of exploitation of wet nurses continues in contemporary practices of human milk exchange, as pointed out by activists opposing the purchase of Black women’s milk in Detroit by Medolac, another major milk processor. Human milk donation involves care work, requiring time, energy, concern, and skill that largely go unrecognized since motivations for donating milk are generally characterized as altruistic. This is consistent with how gendered expectations shape other practices of bodily exchange and commodification. 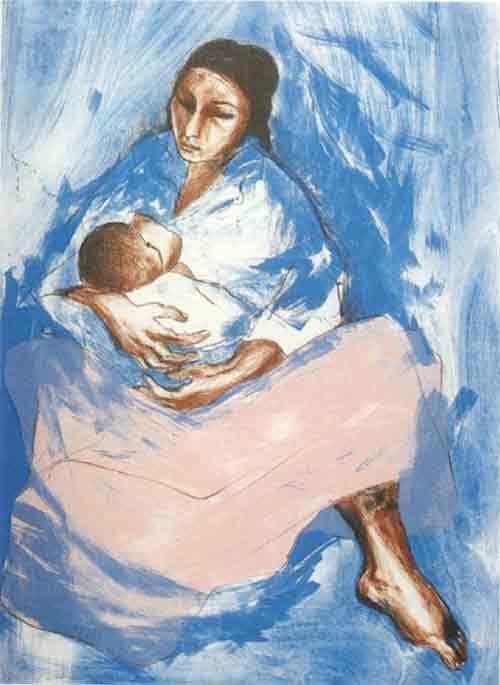 Because of the embodied character of breastfeeding, selling milk is likely to mirror patterns of inequality in care work, stratifying access to human milk along lines of class, race, and geography. There are some indications that selling human milk might be used to offset financial costs of motherhood and compensate for inadequate maternal leaves. Pumping milk and even selling it represent attempts to cope with the high costs associated with contemporary parenthood. However, relying on selling milk in order to afford the costs of motherhood risks exacerbating existing inequalities of stratified reproduction. Demand for human milk is high and continues to grow. Despite warnings about the risks of informal milk exchange, these practices are likely to continue to increase in popularity. Commodification of human milk carries great potential for exploitation of mothers who sell their milk may potentially be exploited. Corporate milk processors’ high profit margins and reliance on unpaid donors also contain potential for exploitation of donors and inequalities in access by parents. Overall, an ethical approach to these practices requires careful attention to the conditions under which milk is exchanged, with particular attention to socioeconomic inequalities in access to human milk.